ACR Recovery waits for you. There comes a time for every person who has become entangled in substance abuse when they realize that they are tired of being a slave to addiction. Since you’ve found your way to our drug rehab center, we assume that you’re at least approaching this point, so we’d like to take this opportunity to congratulate you on your progress. 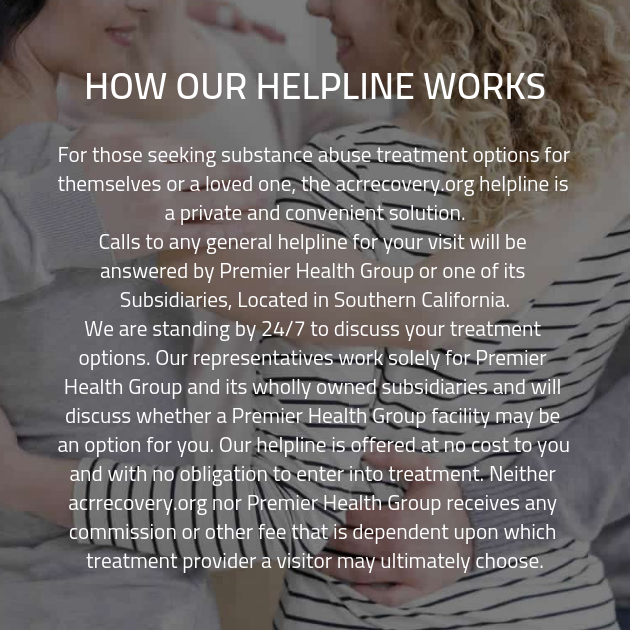 We understand that overcoming addiction is one of the most challenging things you will ever have to do in your life, and furthermore, we recognize how incredibly difficult it can be to take that first step and begin looking into addiction recovery treatment. At our drug rehab center, we’re ready to provide you with the tools you need. At our addiction recovery center, you’ll begin by taking part in an intake interview. During this interview, you’ll be asked a number of questions. Our intake interviews are conducted by one of the members of our staff. Each member of our staff has extensive experience treating addiction, and for that reason, they know what questions must be asked in order to gather the details necessary to make you a customized addiction recovery treatment plan that will work for you.
. At times, you may wonder whether some of the questions are necessary in order to successfully complete your recovery plan, but rest assured, we provide you with the tools you need for recovery.